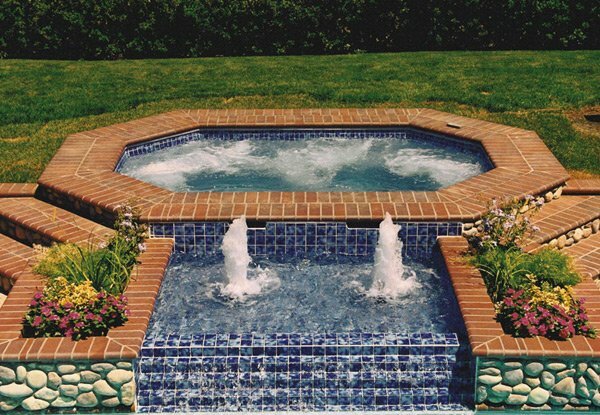 Today, we are going to show a list of different designs and style of swimming pools with spas. 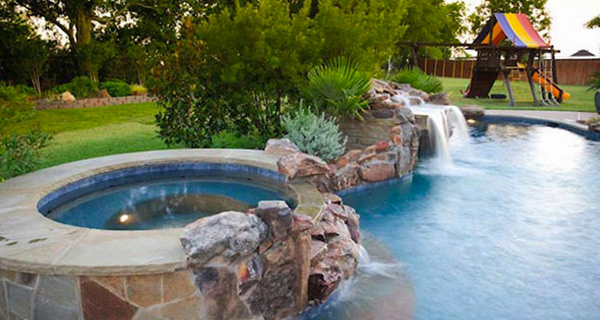 These swimming pools with spas have a remarkable designs and benefits. 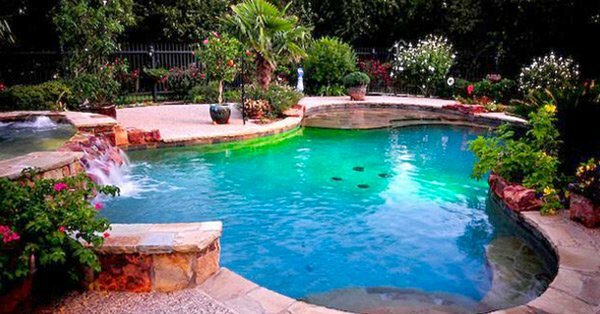 In the entire globe people are usually thinking of the possible health benefits of a swimming pool and spa. They call it hydrotherapy that shows that we can use the spa and the swimming pool, the most possible benefits are endless. 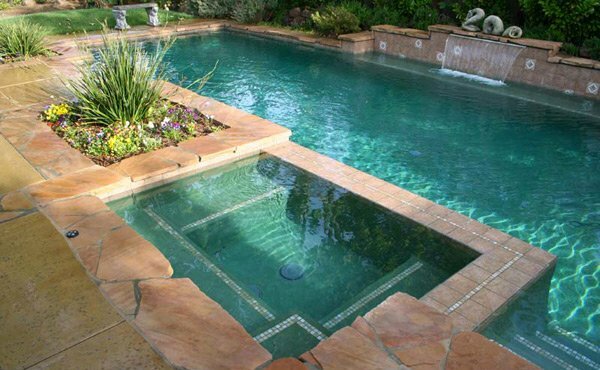 Now are you ready to take a glance of the different stunning designs of swimming pool and spas? 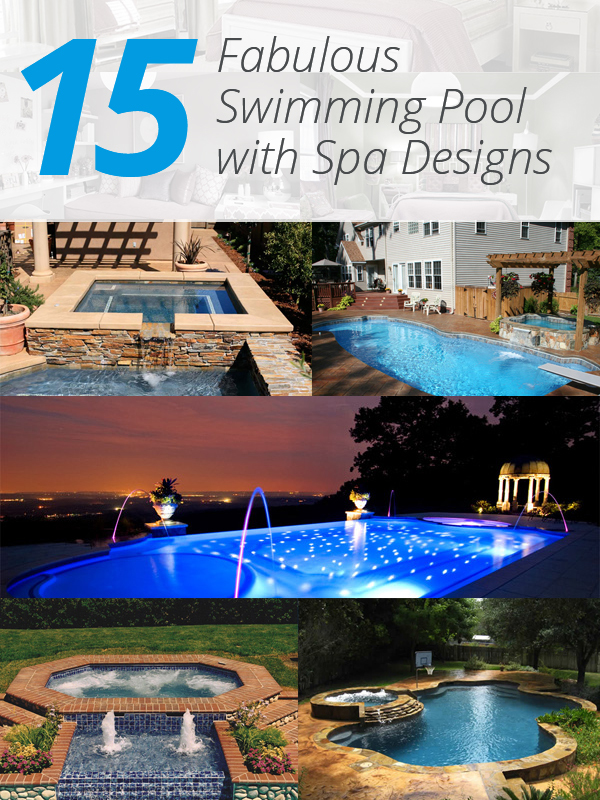 Kindly check the 15 Fabulous Swimming Pool and Spas images below. The free form shape of this swimming pool and spa added the possibilities to achieve the most relaxing feeling when you swim on it. In the morning, you will love the green color of the tiles used here that makes the water looks green and the water flowing from the spa area. The current in this spa make the water bubbles that seems to invite the people to soak in and relax. The lighting together with the flowers surrounding the spas are very effective to create a more calming effect to the one who will use it. The fountains in this area match the sun’s ray that goes through the water in the pool spa. At night, this area will be one of the most essential parts of your dream house as it will amaze you with its lighting. 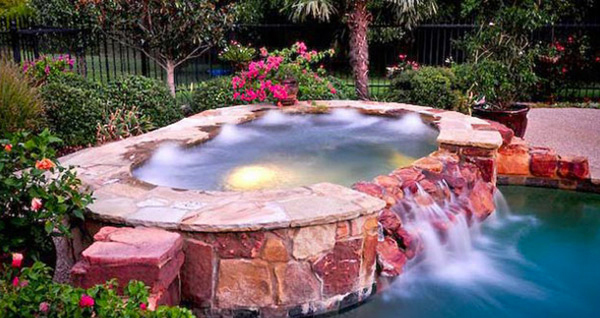 When the skies are clear and the sun is hot could be the perfect time to swim and relax in the hot water in the spa. 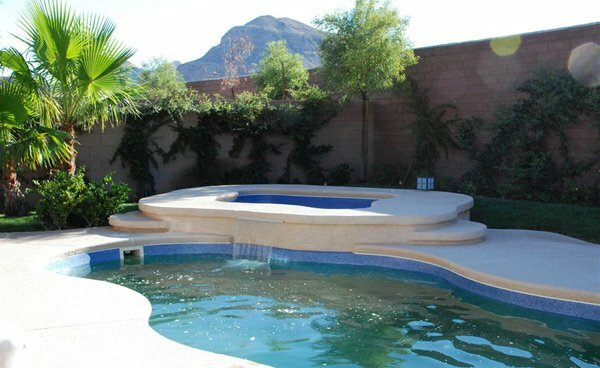 The green trees and plants that surrounded this swimming pool and spa add more excitement and fun to the homeowner. 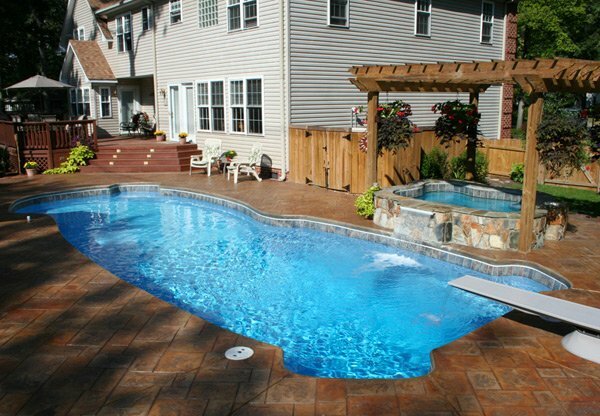 The space may be limited but the designer can afford to install the water spa in this swimming pool here. 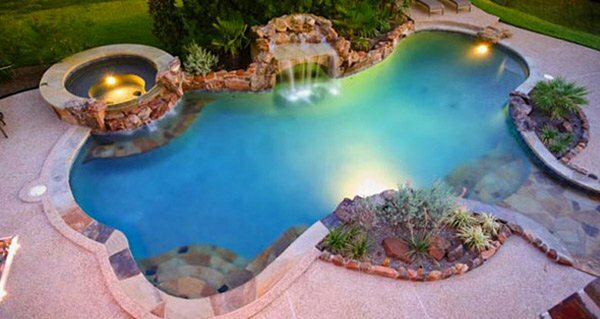 The water flowing from the spa in this swimming pool is cool enough to provide the most comfortable area in the house. With the help of the tall green trees in the exterior part of the house this swimming pool with spa looks fresh and peaceful. The color forms, and lighting used here are able to display the most elegant part of the house. The summer days will be fun when you prefer to stay and sit beside the spa area of this swimming pool. The incredible form of the swimming pool jives with the natural and fresh air brought by the plants and trees all over the place. 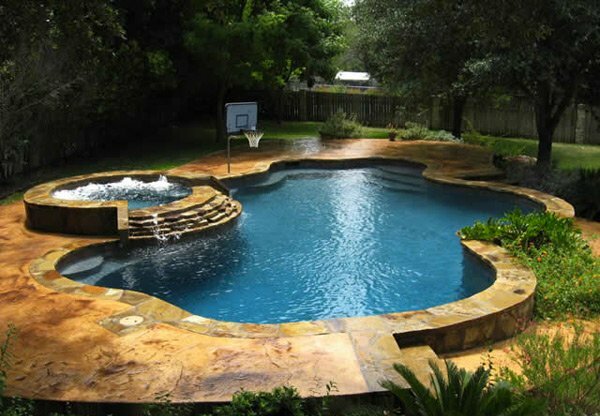 As you can see the designer built a basketball ring near the swimming pool area where the members of the family can enjoy playing and swimming in the pool area. 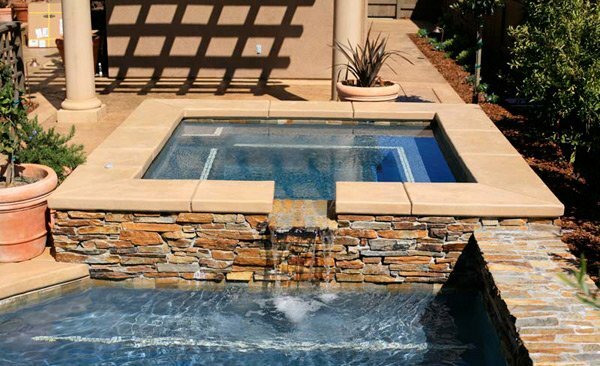 One may create an over-sized spa with an added current since this will allow the person to soak in a warm and relaxing water while at the same time swimming and taking an exercise with abundant space. 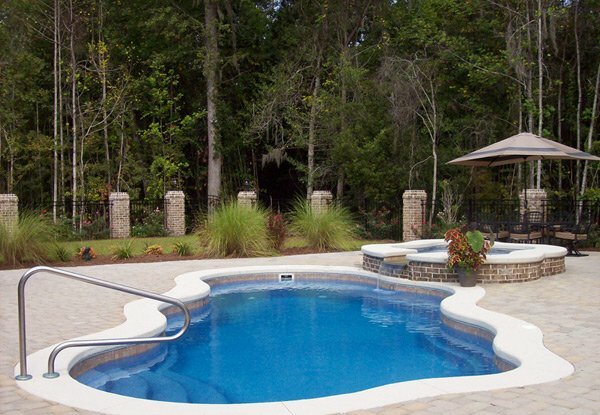 We may think at first that it is impossible to have this sort of thing on your own property especially when your space is limited but there are already new designs of swimming pool and spa that you see above that can surely be accommodated even in a small area. 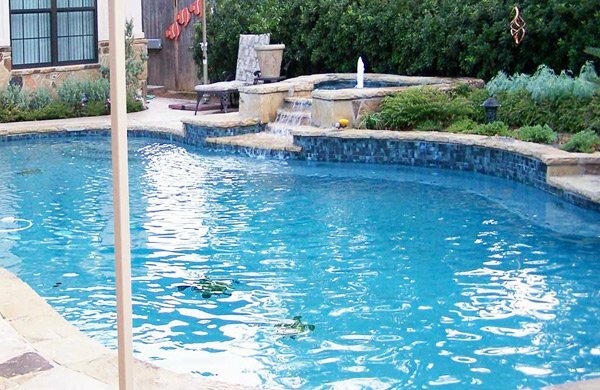 We are certain that you may enjoy the idea of swimming and spa treatment in the swimming pool and spas that would be installed in your house. Now what can you say?